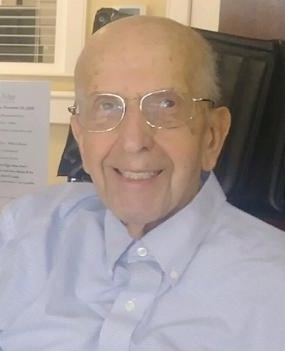 Folsom Funeral Service » DeAngelis, Charles A.
Charles DeAngelis, age 87 passed away on January 29, 2019. Charles was born on March 27th, 1931 in Framingham, Massachusetts, the only son of Charles and Lena (Gala) DeAngelis. Charles grew up in Millis with his parents and older sister, Doris. Charles attended Saint Mary’s High School in Milford and upon graduating he went on to attend Brown University where he received a Bachelor’s degree in civil engineering. Subsequently, he received a Master’s degree in Structural Engineering from Northeastern University. Before he married, Charles served in the Korean War. He married Elizabeth Lydon on June 18th, 1960 and they were married for fifty-eight years. He worked as a structural engineer at Stone & Webster and was an adjunct professor at both Northeastern and Brown University, teaching specialized engineering classes in structural design. Charles truly lived his life to the fullest by always making time for family, friends, travel and helping others. He was also a big Boston sports fan, especially the Red Sox. He is survived by his wife, Elizabeth and their three children; Cathy and her husband Jack, Charlie and his wife Lori and Lisa and her husband Chris. He also leaves behind four grandchildren; Chad, John, Kayla and Connor, along with many nieces and nephews (the Manning’s; Charlene, Doreen, Kathy, John and the late Jackie… and the Lydon’s; Heather and John). Charlie will be missed especially summer weekends in York Beach. He always had good words for everyone and was a true Res Sox fan.